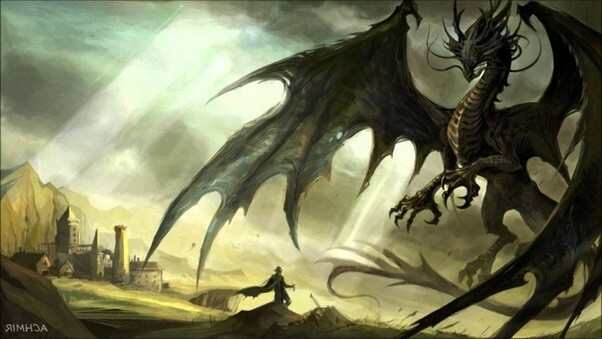 One of these days, I’m going to get to write my story about a black dragon name Bartholomew. Until then, I’m going to keep chugging away at William Wilde. Right now, I’m on book 3, William Wilde and the Unusual Suspects, with about 2 weeks to go to finish the first draft. WooHoo! After that, I’ll do the final edit for book 1, William Wilde and the Necrosed. Audiobook production for it should begin in late December. Then I’ll do the penultimate edit for book 2, William Wilde and the Stolen Life, and audiobook production for it should also start in late December. All told, I should have two books fully edited by the end of August and book 3 fully edited by the end of November and the first draft of book 4 (William Wilde and something or another) done by the end of the year. I’m really hoping to release all five books of William Wilde in 2018, and in the meantime, I’ll be posting cover art as it arrives and more snippets as I finalize the drafts. Those foolhardy few who joined the newsletter will be the first to receive them. I’d always hoped something like this would come about with CRISPR gene editing and cloning. George Church’s team is closing in on creating a mammoth-Asian elephant Chimera (had to call it that). Still motoring along with book 2 of the Chronicles of William Wilde. At this rate, I’ll have the extended outline done by next weekend. Fingers crossed. Although this series takes place in 1986, starting out in Cincinnati, OH, several characters from the Castes and the OutCaste make it over to our world from theirs. How they do it and why is explained in further volumes, but for those paying attention, a big clue is present at the end of A Warrior’s Penance. In other news, Journeys, the anthology in which my offering, The Broken City, is featured, releases in just a few days. Order your copy here. Although the story is about Hume during the Fall of Hammer and take place several hundred years prior the Castes and the OutCastes, there is a sly reference to several characters from the main trilogy along with some history about the founders of a certain city. Oh yes. And Journeys features many great writers, such as John Gwynne, Gail Z. Martin, Juliet McKenna, Adrian Tchaikovsky, Jacob Cooper, Julian Mills, Charlie Pulsipher, and many more. Currently, I am in the middle of writing book 2 of my next series, The Chronicles of William Wilde. Book one, William Wilde and the Necrosed, is with my editor, David Farland. Yes, that David Farland. Pretty thrilled about the person editing my book. You know, the person who helped Brandon Sanderson learn the craft of writing. Anyway, after I’ve edited the first book to David’s satisfaction, I’ll be sending it along to the beta readers. Meanwhile, Journeys, an upcoming anthology in which one of my stories is included, releases on Feb. 15th. There are some great stories in this collection, including one’s from John Gwynne, Gail Z. Martin, Juliet McKenna, Jacob Cooper, Charlie Pulsipher, Adrian Tchaikovsky. The list goes on. Here’s the link for the preorder. I got in 4500 words today of the Chronicles of William Wilde, Book Two. A personal best. I think I’m done for the day. Time to watch the Super Bowl. Printed organs. They’re coming. And much faster than any of us realize. What this means to life expectancy and treatment of, not just injuries, but inborn errors of metabolism is stunning. Also, if there is a way to print beta cells of the pancreas, protect them from degradation by the immune system, we’ d have a cure for Type I diabetes. I was asked to submit a short story to the new Journeys anthology, which is currently free on KU and $0.99 on Kindle. My story deals with the legendary warrior Hume at the time of Hammer’s Fall. Some of the other authors are bestsellers, so I’m giddy with excitement at being including with them. The collection is edited by Teresa Edgerton, published by Woodbridge Press and includes stories from John Gwynne, Adrian Tchaikovsky, Gail Z. Martin, Juliet E McKenna, Julia Knight, Juliana Spink Mills, Jacob Cooper, Samanda R Primeau, Steven Poore, Dan Jones, Charlie Pulsipher, Anna Dickinson, Thaddeus White, and Davis Ashura aka me and it releases on February 15, 2017, but it’s available for preorder right now. I’m doing a promo today through Free Kindle Books and Tips for A Warrior’s Path. The book is on sale for just $0.99 and it’s just today.